Psalm 119:9-16 ends with four ways the psalmist will “take heed to God’s Word” (vs. 9). He will meditate on it, contemplate it (fix my eyes-ESV), delight in it, and will not forget it (Psalm 119:15-16). These last two verses show that the psalmist takes seriously his own need to focus on and retain God’s Word. Those things which we find most delightful are those things that we roll over and over in our minds. When a young man is courting a lady she is never far from his thoughts, even if he is not speaking of her. So it should be with God’s Word. When there is delight in God’s Word (Psalm 119:14) we meditate upon that Word. When we recognize our need to “keep our way pure” (Psalm 119:11) we ponder and contemplate the Word of God day and night. Though a different word is used, this verse expresses the same idea as Psalm 1:2. Meditation and contemplation means there is serious study of God’s Word and a daily attempt to obey God’s Word. The Psalmist says he will contemplate God’s ways, which means how the Lord would have him live. Psalm 119:15 weaves together the intellectual focus on God’s Word and the practical walking in God’s Word. But meditation and contemplation are not all. The psalmist goes on to repeat that he delights in God’s Word. This has been said once already (vs. 14). But it is repeated for effect. Delighting in God’s Word is one of the proofs that we have meditated on it properly. If study does not lead to delight we have missed something. Even when our sin is exposed in the reading of God’s Word we should rejoice. God is showing us our faults and seeking to form us into the character of his Son. Finally the psalmist says that he will not forget God’s Word. Like delight the psalmist repeats a previous idea. In verse 11 he says he hides God’s Word. Here he says something similar. God’s Word should not be a seed thrown on stony ground that is snatched away by birds. It should take deep root in our hearts, minds, and lives. How many of us are content with a shallow understanding of God’s Word? How many of us are content with reading of God’s Word but not the planting of God’s Word? The psalmist isn’t. He wanted the law of God woven into his thoughts, emotions, and actions. Here are several points to remember from Psalm 119:15-16. We need time to meditate on the Word of God. Reading is good, but not good enough. We need to taste the word over and over. We need to take passages and go deeper with them, asking more and more questions of them, thinking through how the Word applies to us. Our hearts, though renewed, are often reluctant to take time with God’s Word. We are busy people. But if God’s Word is to fill our minds and direct our ways then we must resolve to do more than just read. We cannot meditate every time we read God’s Word. But there should be times where we slow down and spend time savoring God’s Word. This is a great activity for Sunday afternoons. 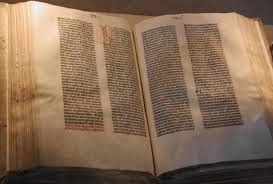 Take a passage, several chapters, or even a short book of the Bible and spend some time with it. Take some notes on it. Pray through it. Read it out loud instead of silently. Delighting in God’s Word is a sign of maturity in one’s walk with God. All Christians should read the Word. But mature Christians delight in it. If God’s Word is dry, dull, or dead to us then something is wrong. Leaders, such as fathers and pastors, especially must have a deep delight in the words of God. They must set an example for their homes and churches of men who love God’s Word and find it sweeter than honey and more profitable than the riches of this world. This does not mean that every time we read God’s Word we will feel lightening from Heaven, just like every time I kiss my wife it will not be like lightening from Heaven. But our joy and delight in God’s Word should go deeper and deeper. Finally Psalm 119:9-16 is focused on hiding or not forgetting God’s Word. The Psalmist ends by saying, “I will not forget your word.” Many of us are like buckets with holes in the bottom. God’s Word goes in and then goes out. We must learn to keep God’s Word in minds and in our hearts. We do this by systematic memorization of it, regular meditation on it, singing it, and diligent obedience to it. To sum up Psalm 119:9-16 we could say, When we delight in God’s Word and know that it is necessary for holiness we will take the time and energy necessary to study it, remember it, and seek new ways to obey it.